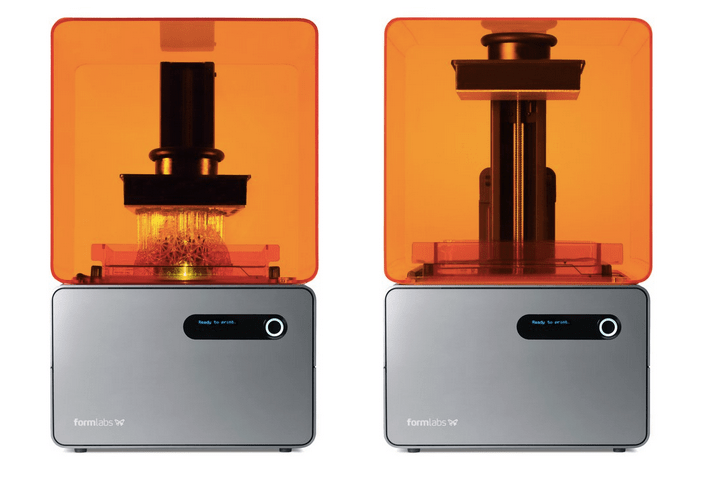 The Formlabs Form1 printer: still available for purchase. After the initial lawsuit was filed in South Carolina, not a lot happened in public. The parties went back and forth, eventually requesting and receiving a series of extensions from the court. Oftentimes, these extensions are granted when the parties are privately negotiating a settlement. 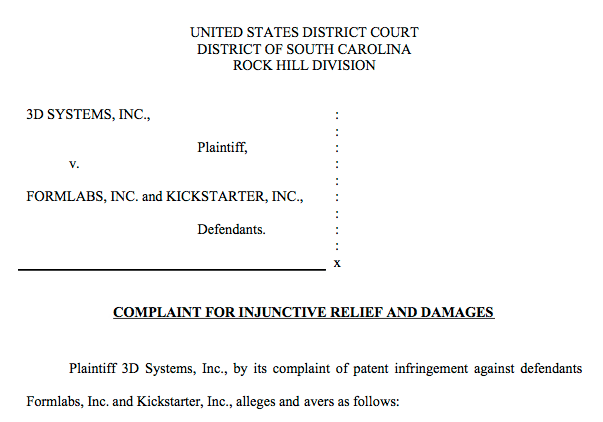 In November of 2013 3D Systems voluntarily dismissed the case against both Formlabs and Kickstarter (oh yeah, for a period of time Kickstarter was involved in this suit as well. This could have had massive implications for Kickstarter as a platform for crowdfunding hardware, but nothing appears to have come of it so we can set it aside for now. 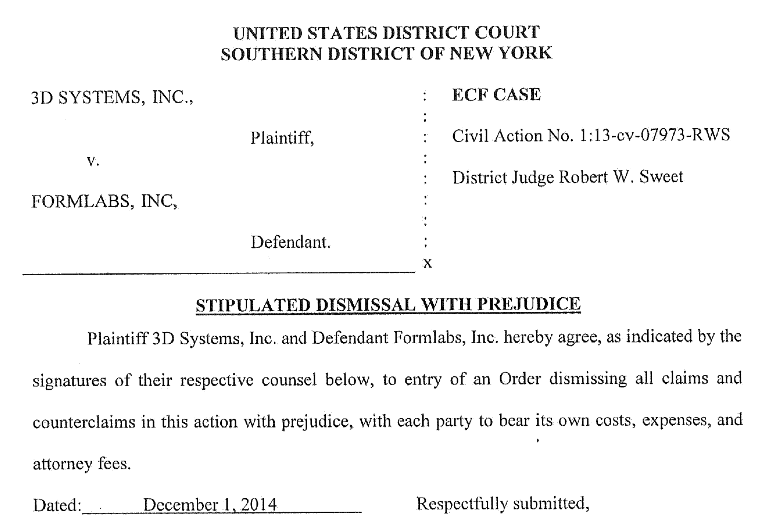 ), only to refile an amended complaint against Formlabs in the Southern District of New York. This amended complaint involved different patents, but the core of the complaint was the same. Very little of note happened publicly in the new case until now. 3D printing documentary Print the Legend. 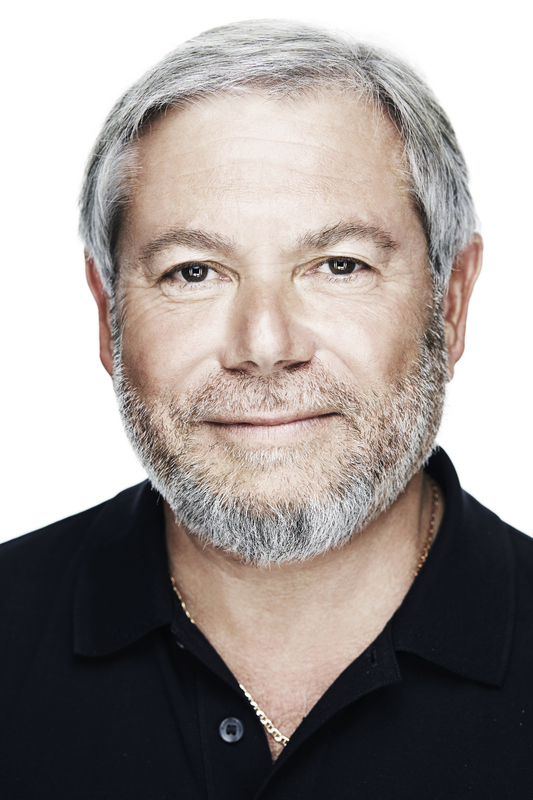 A key storyline in Print the Legend is the suit between 3D Systems and Formlabs, and the interactions between 3D Systems CEO Avi Reichental and Formlabs CEO Max Lobovsky. Perhaps most interestingly in this context, at one point Avi Reichental explains to the camera that the entire lawsuit has caused 3D Systems to rethink their approach to intellectual property and that it was thinking about doing something new. Unfortunately, the film does not follow up on what that new approach could be and 3D Systems itself has said very little publicly to elaborate. What does it mean to rethink an approach to intellectual property, and what impact could that rethink have on this lawsuit and 3D printing more generally? We still don’t know. It would be great if the settlement answered all of the questions raised by the lawsuit. Regrettably, on its face it does not. The public memorandum of the settlement is 3 pages long (most of which is taken up by headings, signatures, and whitespace) and almost totally devoid of information: the parties agreed to drop their claims, everyone is paying their own expenses. Neither Formlabs nor 3D Systems sought fit to issue a press release or post a blog post in the wake of the settlement. Or does nothing happen, leaving us all to keep wondering?